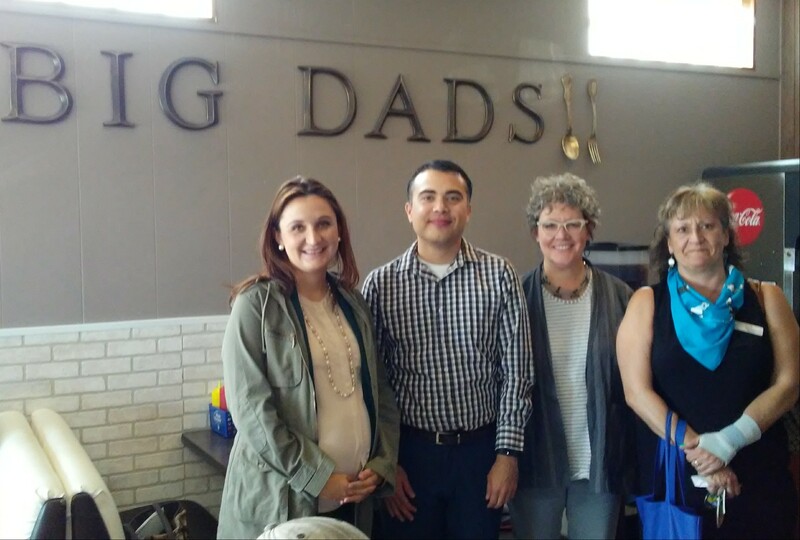 Four Bands was excited to host guests, Annie Donovan, CDFI Fund Director, Clint Hastings, CDFI Fund Program Manager, and Tanya Fiddler, Executive Director of the Native CDFI Network, during a site visit. This was a unique opportunity to demonstrate to our industry’s national leaders how we are creating change in our community. We had an engaging conversation about private sector businesses and their impact on our Native community. It was a pleasure to showcase some of our local businesses, including Big Dad’s Grub & Pub, Limit Lodge, Daily Bread Bakery, Bonnie’s Quilting Boutique, Justin Time Woodworking, Sippin’ Thrift, and 4 Winds Lumber. Our local entrepreneurs did a great job at sharing their ideas on how to foster job creation and asset building for families on Cheyenne River. Read Clint Hastings’ entry on the CDFI Fund’s Impact Blog to gain insight on his reflections of his visit to Cheyenne River.